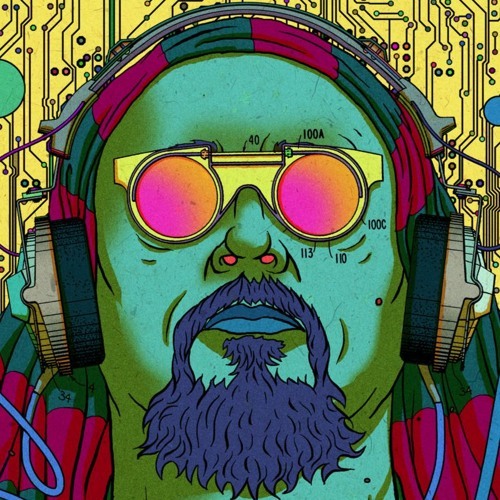 Dub Gabriel is a music producer, multi-instrumentalist and DJ based in San Francisco. He started his career 20 years ago in New York City, throwing warehouse parties in Williamsburg, Brooklyn, which at the time was a little known area, but his parties helped lay down the groundwork for nightlife in the now Brooklyn mecca. NYC press was taking notice and soon after, he was being featured in such publications as Interview, New York Times, Time Out NY & Village Voice. This eventually led to some of the biggest clubs in NYC booking Dub Gabriel, at places such as The Limelight, Twilo, APT, Cielo, Tonic, Knitting Factory and others. In 2005, he was offered a residency at Goya in Berlin, located at the original location of the notorious Metropol club & was built in a turn of the century opera house that survived two world wars. While living in Berlin, he toured continuously through Europe playing everywhere from anarchist squats to mega-festivals. In 2007, Dub Gabriel moved back to the States to San Francisco and in the following year he established his record label, Destroy All Concepts, a genre-defying label that was designed to be the home for various projects of Gabriel’s collaborations and productions. Highlight of guests include reggae legends, U-Roy, Ranking Joe & Brother Culture. Also, U.K. Dubstep pioneers, The Spaceape & Warrior Queen. And, world music giants, Master Musicians of Jajouka & Balkan Beat Box, as well as members of rock’s elite including Rock and Roll Hall of Fame inductee, Michael Stipe of R.E.M., David J of Bauhaus/Love & Rockets and Golgol Bordello vocalist/percussionist, Pedro Erazo. His albums have all been critic’s picks in the music press. Dangerous Minds says “Gabriel showing ultimate respect for the dubwise tradition as he seeks to launch it deep into this new century.” Billboard compared him to Brian Eno, XLR8R called his albums a “Philosophical Masterpiece” & Paste called it a “Kubrickian Soundtrack For Future Societies”. Besides his love for the studio, Dub Gabriel still finds time to keep an active touring schedule throughout North America, Europe and Asia. He has performed at such festivals as Outside Lands in California, Shambahala Music Festival in British Columbia and Fusion Festival in Germany to name a few.